We are beyond thrilled with the new mural at IMA! 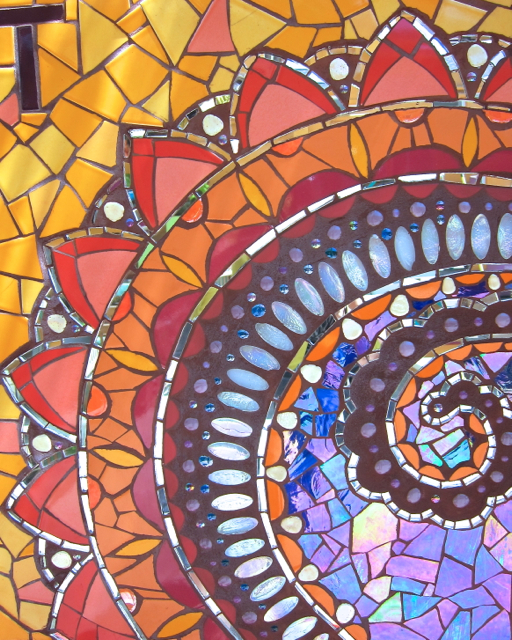 It was created last week by the Mural Making Intensive led by Laurel True. Students flew in from all over the USA to learn Laurel's hard-earned, super effective methods of making large murals in the studio and then installing them onsite. It was a jam packed week filled with tons of information, learning and lots of hard work. The students did a fabulous job and left smiling and inspired (yay!). And Laurel designed the mural for our new location so now there is a stunning sign for the school! Mural designed by Laurel True. 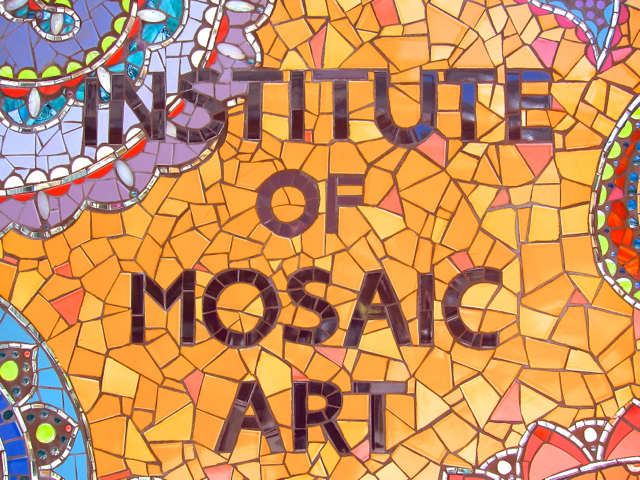 Mosaic production by Laurel True and students Shelita Benash, Lisa Domenici, Elizabeth Gallery, Denise Hart, Mikaela Huntzinger and Victoria Sheldon. Mural Making Intensive class of 2014 with Laurel True! Hurray!